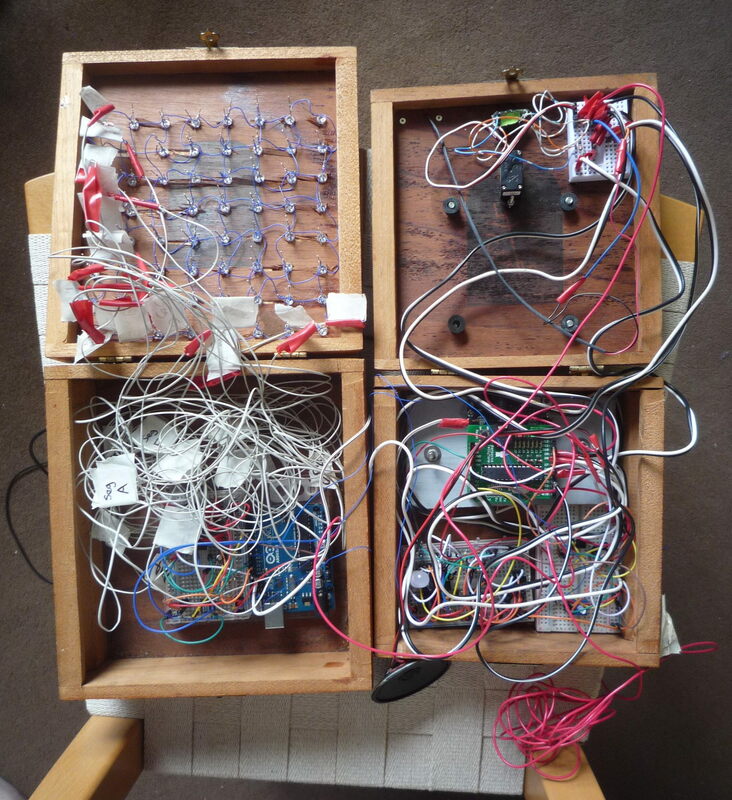 The creative goal of this project was an attempt to tie together a number of themes that are of interest to me, and to use some of the physical computing skills that I have been learning to create an installation that would hopefully be beautiful and engaging. The main theme in this project relates to an ongoing interest of mine into the nature of time, and it’s connection to the ancient Chinese system of divination the I Ching. A strongly interrelated theme here is an interest in systems which mimic the functioning of autotrophic organisms. These are organisms which nourish themselves, thus systems which mimic their functioning will involve some sort of iterative feedback loop to form a sort of auto-catalytic, self-reinforcing process. I became interested in this idea after seeing ‘Talysis II, Autotrophs’ by Paul Prudence in the book ‘Generative Design’ by Bohnacker et al. (page 104-107). Talysis II from Paul Prudence on Vimeo. 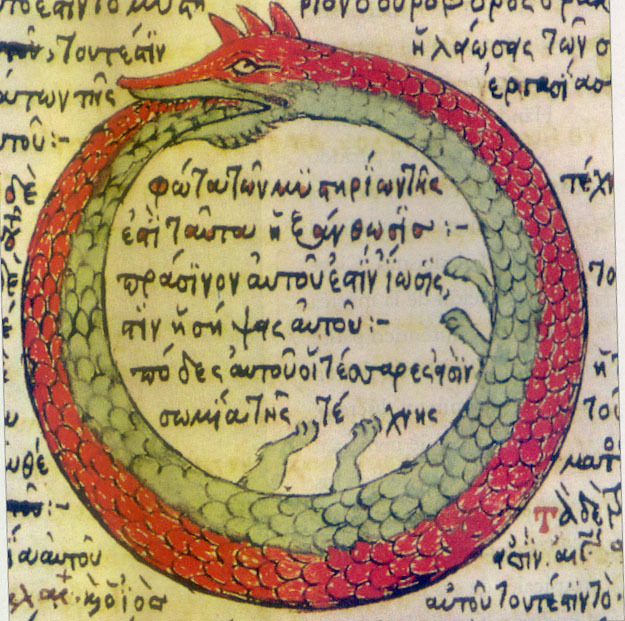 To understand how autotrophism relates to theories of time, or more specifically non-western theories of time where time is considered to be cyclical, consider the picture below of the Ouroboros. (Figure 1: The Ouroboros, Drawing by Theodoros Pelecanos, in the alchemical tract Synosius (1478). The western scientific view of time as a smooth surface, where this moment is just like the one before it, and just like the one about to occur, is an idea that this project aims to challenge. 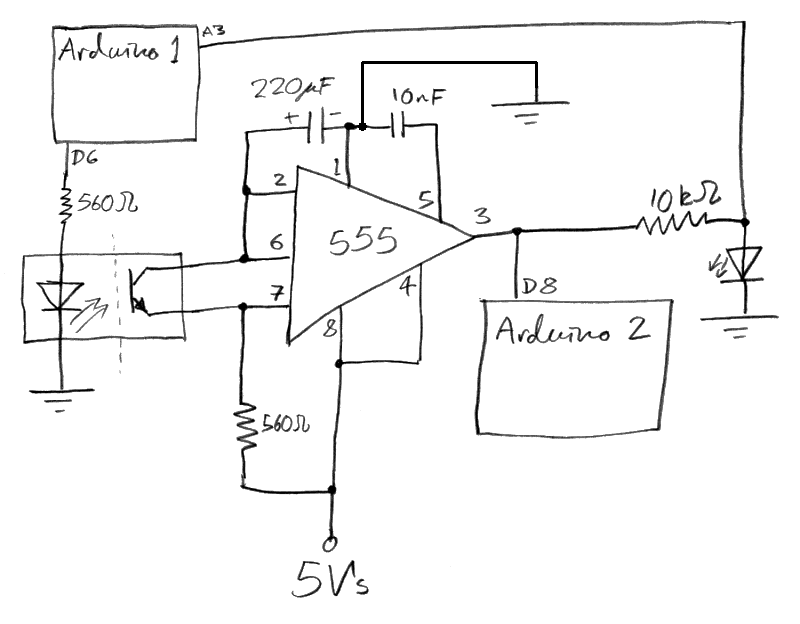 My explanation of how the system works will begin with the electromagnetic interference (EMI) detector. EMI is a form of electromagnetic radiation, this is a combination of electrical and magnetic waves travelling outward from anywhere that an electrical power signal is changing or being turned off and on rapidly. 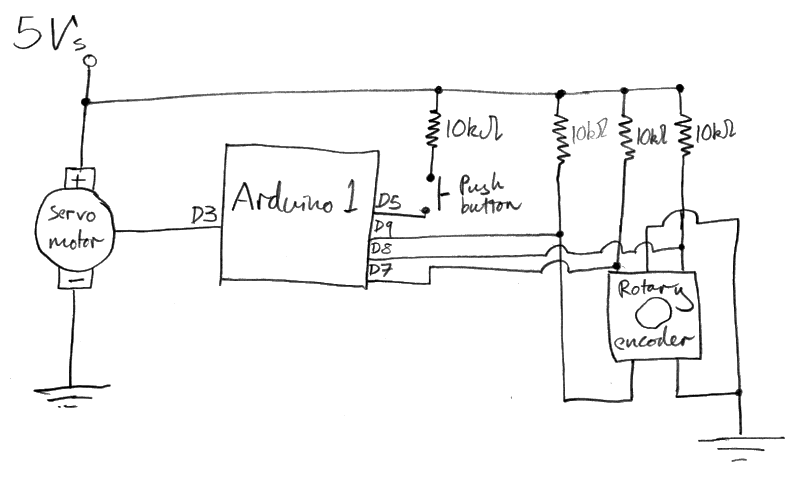 The antenna for detecting EMI here is simply a 3 foot length of solid core wire, connected to an analogue pin of Arduino 1, via an LM386 amplifier chip circuit. The system is listening for electromagnetic energy being emitted from various electronic devices in the local environment. 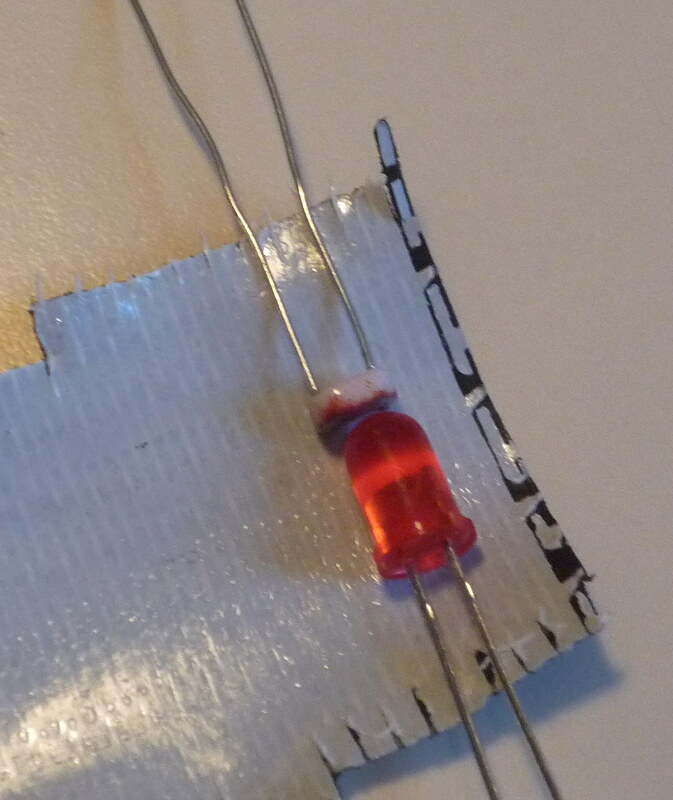 Sometimes, an electrical device that has the potential to give off EMI is shielded to prevent interference from escaping; however a great many devices that emit EMI are shielded very lightly or not at all. Thus there is a 1/8 chance of throwing a 6, a 1/8 chance of throwing a 9, a 3/8 chance of throwing a 7, and a 3/8 chance of throwing an 8. What we have streaming from our EMI detector is a constant flow of noise data (values between 0 and 1023). To replicate the throwing of three coins we take the values being read by the EMI detector and sum them every time the value changes by 10 or more. The lines and resulting hexagrams are displayed on a black and white CRT monitor using a TellyMate shield. 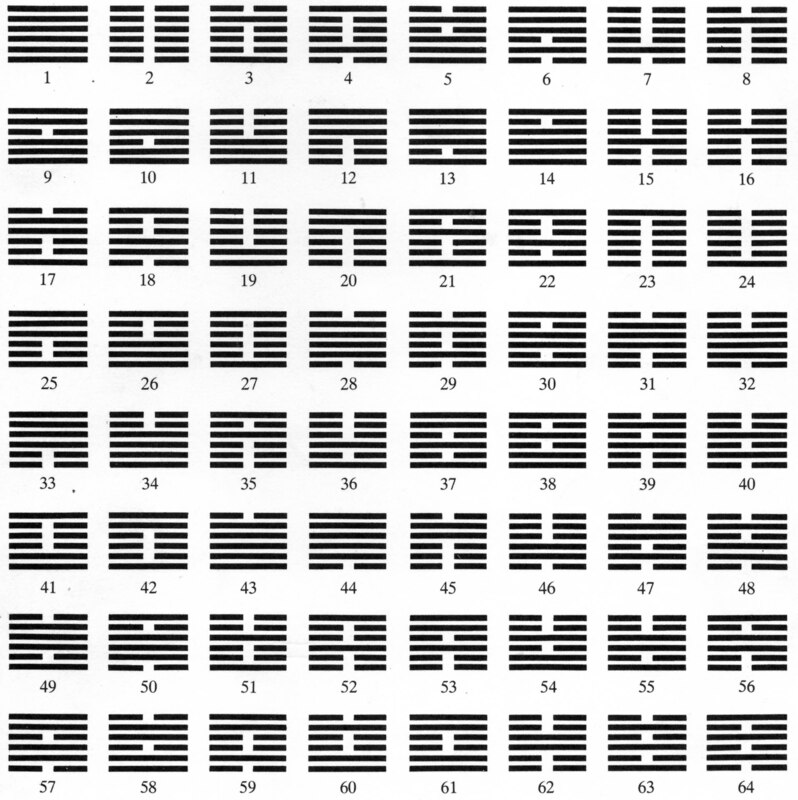 Hexagrams are drawn from the bottom up. Opto-isolators are normally used to enable the transfer of data over wide voltage differences. There was not actually any need for me to have used one here, but I just like the idea of them. The designed autotrophic element of the system occurs here; once a hexagram is generated the number of that hexagram from the table above determines the brightness of the LED in the opto-isolator, which in turn determines the rate at which the EMI noise is sampled to determine the next hexagram, which itself then determines the brightness of the LED for the next hexagram, ad infinitum. 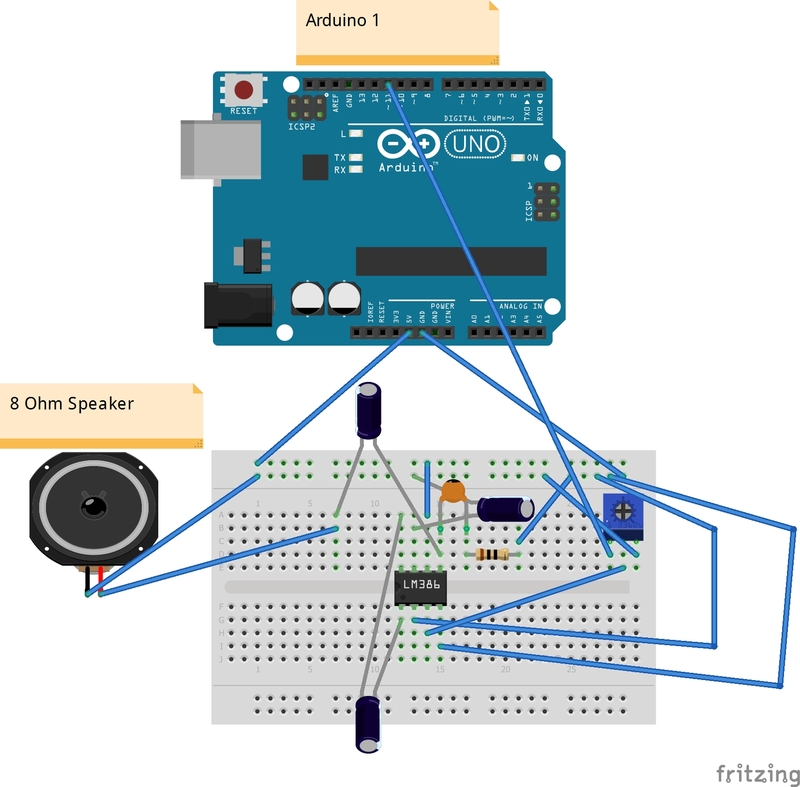 Workshops In Creative Coding 2 Project Demo from George Haworth on Vimeo. 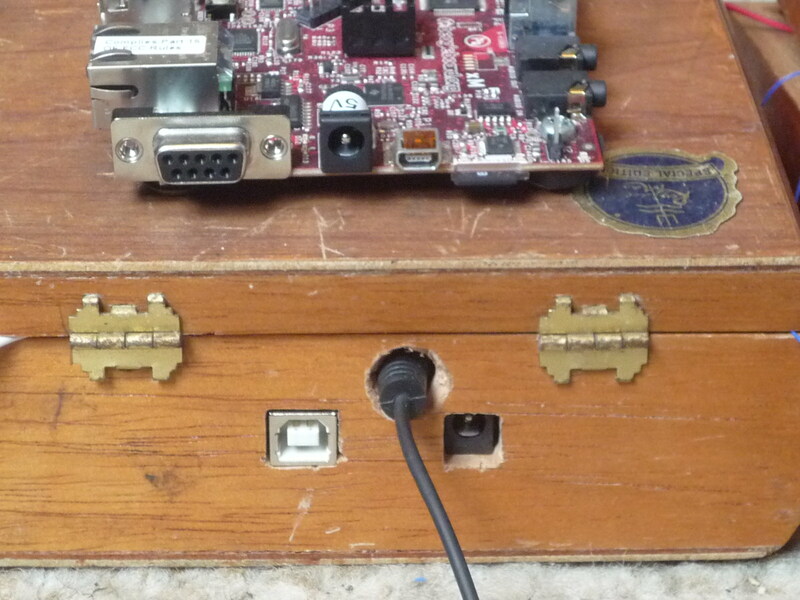 On top of the cigar box housing Arduino 1 is mounted a Beagleboard xM running Debian. I managed to install Processing on this by modifying these instructions for installing it on a Raspberry Pi, a Beagleboard was chosen over a Raspberry Pi due to the fact that it is slightly faster. 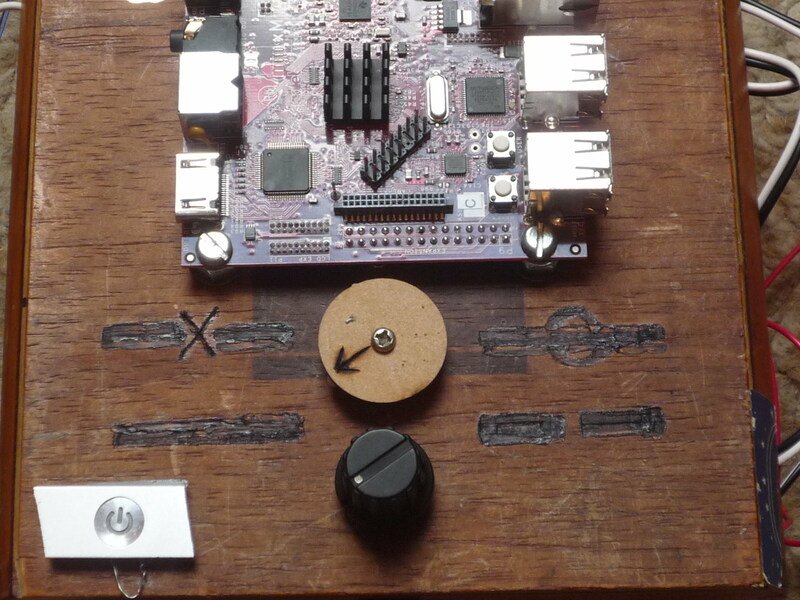 A monitor was attached to the Beagleboard, on which is displayed the rising and falling values of temporal flux on the y-axis, against time on the x-axis. The idea of temporal flux is taken from ‘The Invisible Landscape’ by Terence McKenna, Chapter 1o includes a full explanation of this idea, and derivation of the values in Table 1 below. Table 1: The 384 Temporal Flux Values of the King Wen Sequence (Source; ‘The Invisible Landscape’ by Terence McKenna. Pages 162-163). The rotary encoder functions to allow the viewer to observe this graph over longer or shorter periods of time. The notion that this graph aims to evoke is the idea that time can be described in much the same way as a stock market, as a series of rising and falling fluctuations of novelty. Where this moment is different from the one before it, and different from the one about to occur. Attached to Arduino 2 is a PC running Ubuntu with Processing installed, the monitor attached to this PC is displaying fractal imagery adapted from here and created in Processing. 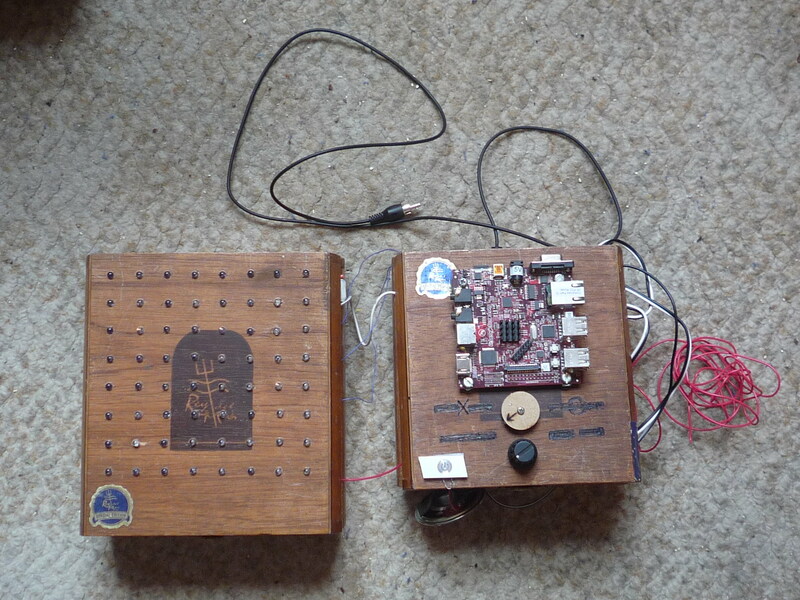 I originally intended to display both the fractal imagery and the temporal flux graph on the Beagleboard, and have the push-button on the rotary encoder toggle between the two. However I found that the Beagleboard was unable to display the fractal images at an acceptable size and definition, therefore I chose to display the graph on the Beagleboard and the fractals on a PC. Originally it had been planned that the fractal generation would be based on the hexagram number (King Wen sequence). 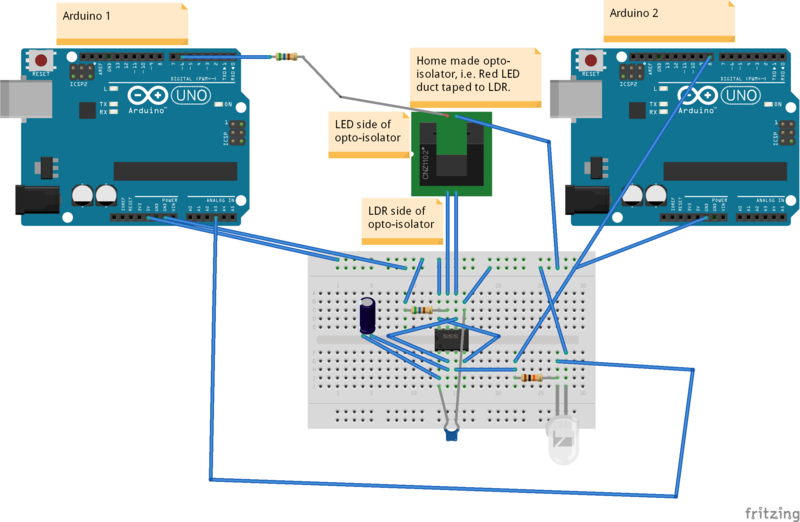 However, when I realized that I would have to display the fractals on a PC instead of the Beagleboard, I could not see an immediate way to send the serial output from Arduino 1 to both the Beagleboard and the PC simultaneously, so a different approach was taken. 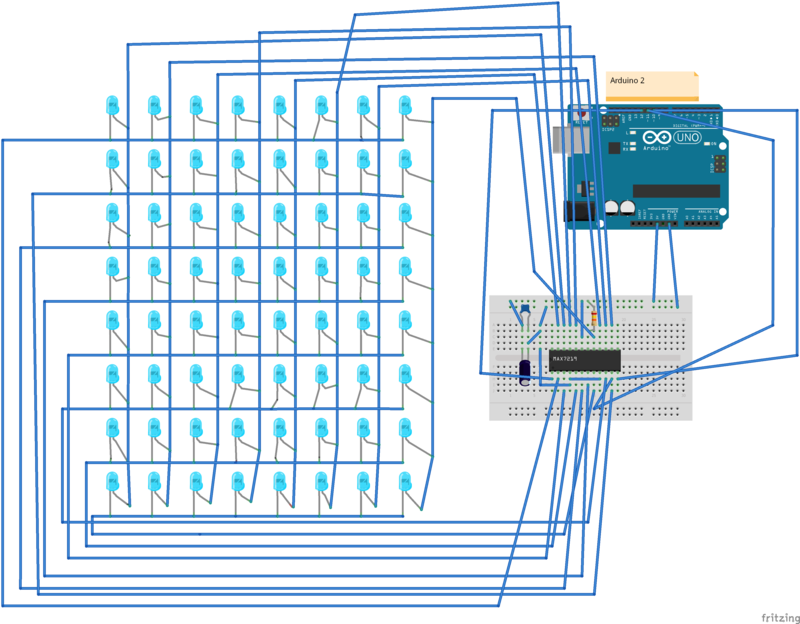 The 555 timer circuit (Figures 7 and 8) is connected to Arduino 2, the output from this is used in this case to let the PC know when a line is drawn. 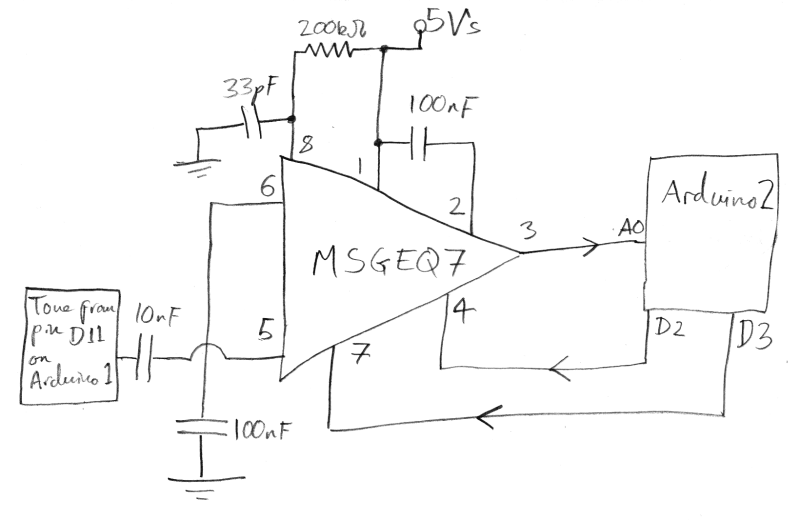 For a random number as input to the fractal generating sketch the summed value of the 7 bands of the MSGEQ7 circuit is taken and mapped to a range of values previously determined to produce interesting fractal images. 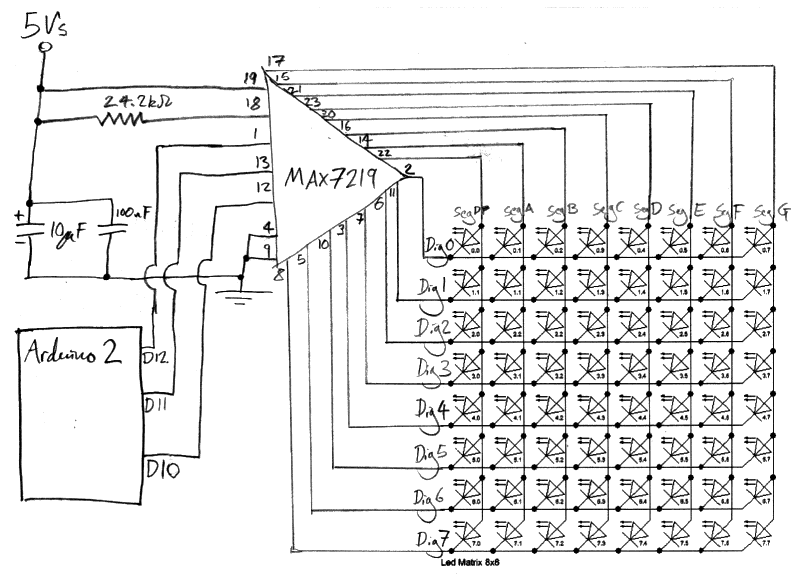 To synchronise the generation of fractal images on one screen with the generation of hexagrams on the CRT screen, I looked at the time interval between the arrival of a flash from the 555 circuit. When I note that this interval had changed by more than 50%, I take this to indicate the start of a new hexagram. Aside from the fact that the generated fractals are quite often very beautiful, the notion I am attempting to evoke by including them in the installation is the suggestion that time may be thought of as some sort of convoluted surface, or topological manifold. Where some regions of this surface are fairly uninteresting, and then the surface suddenly takes on a beautiful and fascinating pattern. Much the same way as how the felt experience of our lives often seems to be periods of stagnation, frustration and boredom interlaced with breakthrough moments, epiphanies and important revelations. 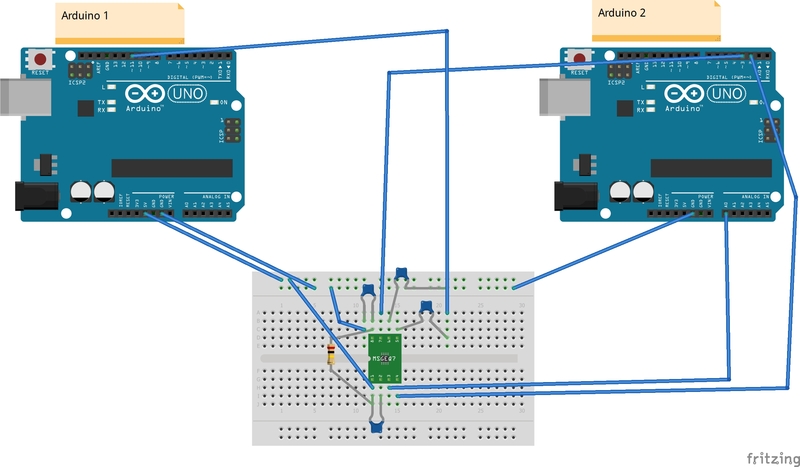 Arduino sketch running on Arduino 1 is found here. 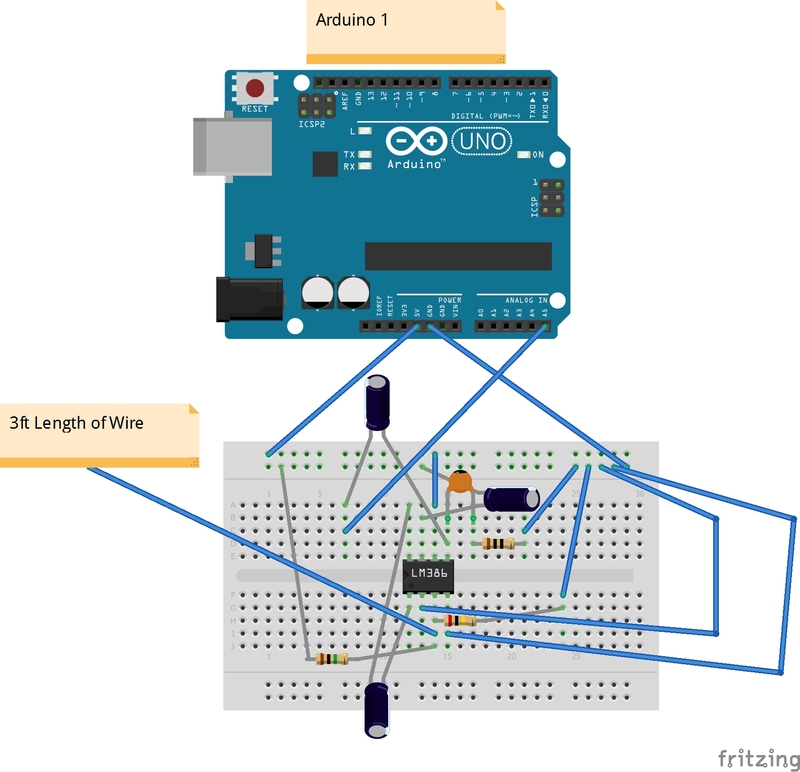 Arduino sketch running on Arduino 2 is found here. 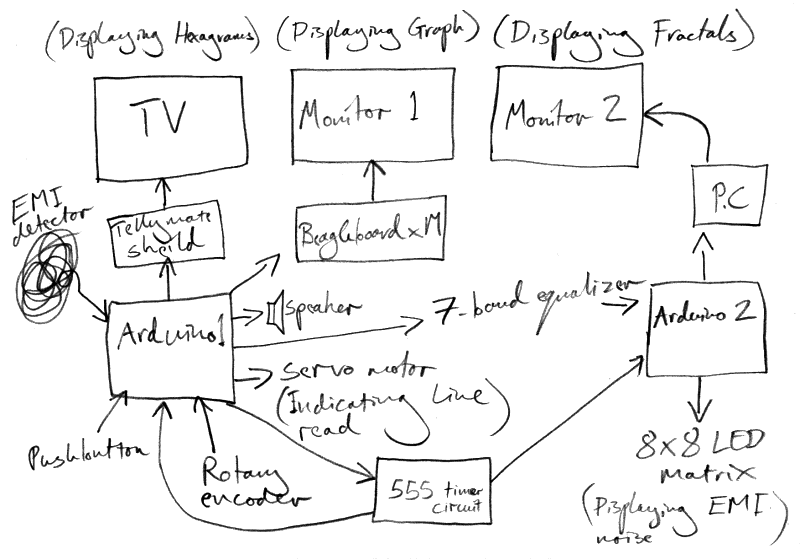 Processing sketch running on Beagleboard xM is found here. Processing sketch running on PC is found here. ‘Talysis II, Autotrophs’ by Paul Prudence taken from the book ‘Generative Design’ by Bohnacker et al. (page 104-107). Values for Temporal Flux taken from ‘The Invisible Landscape’ by Terence McKenna (pages 162-163), a full derivation of these values is explained in Chapter 10. 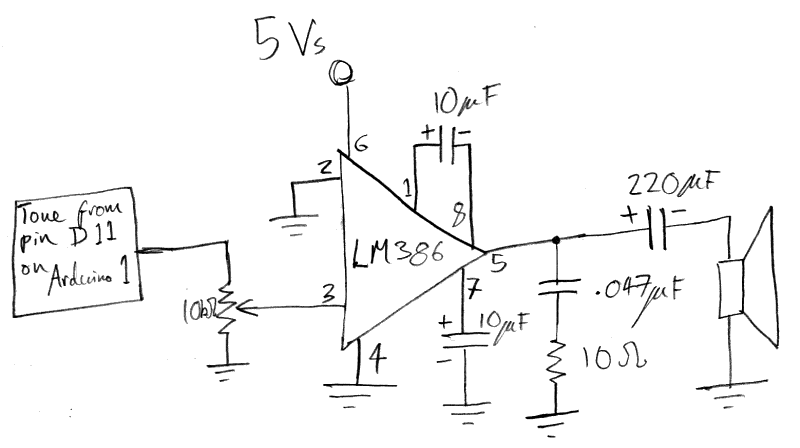 Idea for homemade opto-isolator taken from ‘Handmade Electronic Music’ by Nicolas Collins. Page 181. (My favourite book at the moment!). 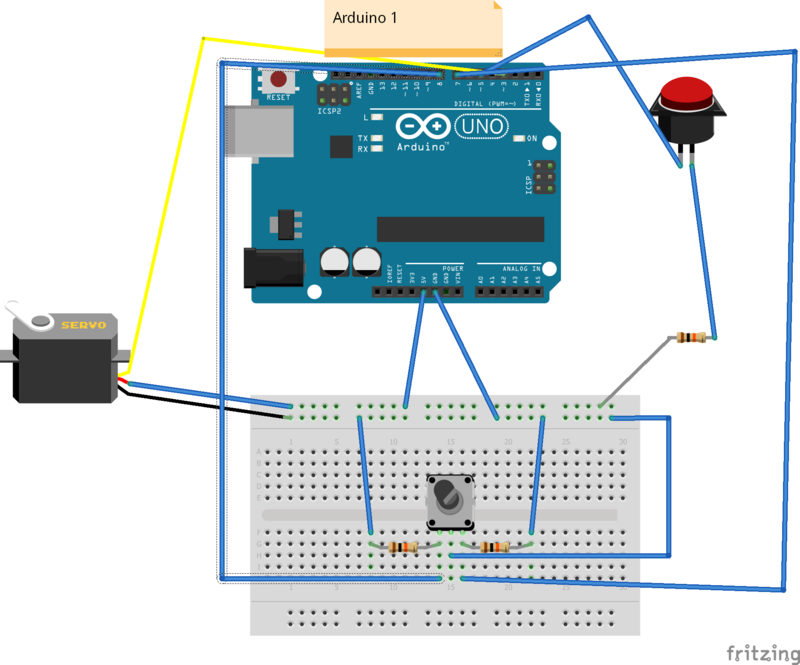 Breadboard diagrams created using Fritzing. Project title from ‘Finnegans Wake’ by James Joyce.